1 Printable PDF eBook (12 pages). 1 Jazz backing track (MP3 audio file, 320 kbps). 25 Audio files (MP3 audio file, 320 kbps). 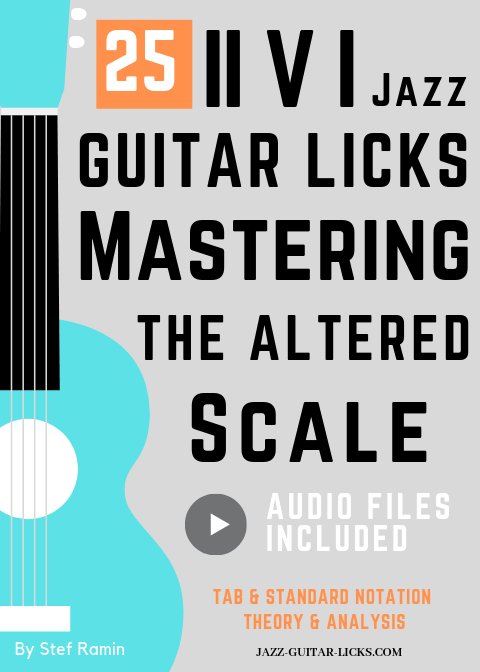 Altered scale (Charts, diagrams, theory and licks). 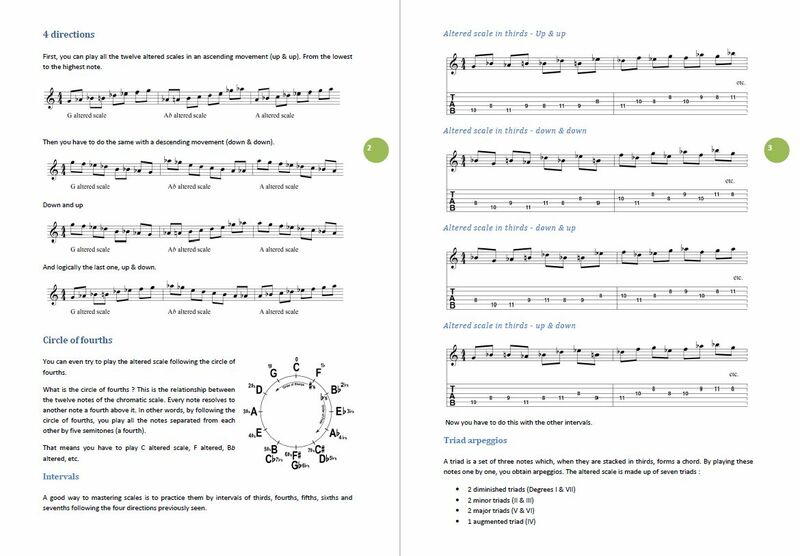 Arpeggios (triads & seventh chords). Pentatonic scales (major & minor).